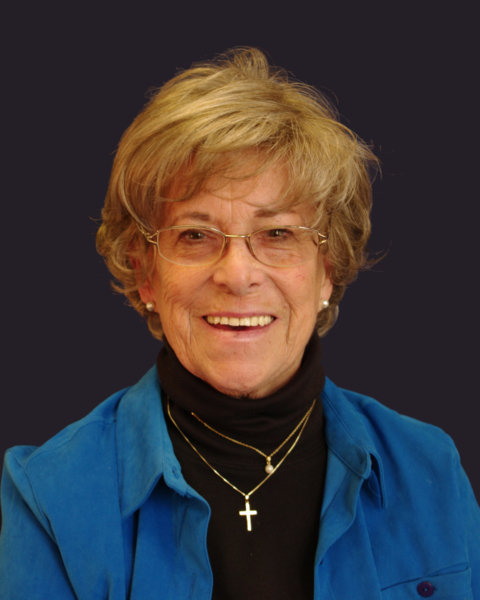 [Episcopal News Service] Marjorie “Marge” Christie, a lay General Convention deputy from the Diocese of Newark who worked for the full inclusion of women and other excluded people at all levels of The Episcopal Church, died April 14. Christie was a delegate to the Episcopal Church Women’s triennial meetings in 1970 and 1973, which run concurrently with General Convention, and she then became a deputy in 1976. Christie became an Episcopalian in the 1950s after marrying her husband, George, and taking an inquirers’ class in their local congregation. Soon, she joined the women’s group at St. Matthew’s Episcopal Church in Paramus, New Jersey. Those two decisions set her on a journey of service and advocacy based in The Episcopal Church that focused on women and other excluded people. She began her ministry before women could be General Convention deputies. In 2006, Christie introduced the resolution for the House of Deputies to confirm the election of Katharine Jefferts Schori as the church’s first female presiding bishop and thus the first female leader of an Anglican Communion province. Christie’s involvement at the churchwide level began in the 1960s, when she was elected to the Department of Missions, formerly an all-male group. The Department of Missions was part of the church’s National Council, the precursor to the Executive Council. The ENS article profiled Christie as she prepared to head to what would be her 13th convention as a deputy. Her 2012 status began in dramatic fashion when the Diocese of Newark’s 2011 convention elected its deputies to the coming meeting of General Convention in Indianapolis. The voting came down to the final position with only Christie and her granddaughter, Caroline Christie, then 17, left on the ballot. Christie was also concerned about how the church invested its money and in 1977 was appointed to the Committee on Social Responsibility in Investments. That was one of her many terms on a number of Episcopal Church committees and commissions over the years. The Diocese of Newark posted what it calls an “incomplete list” of Christie’s involvement in the diocese and The Episcopal Church here.